Walks through how to use the Java 2 platform software to develop a general electronic-commerce network application that uses common Java 2 platform features. The book's webpage at developer.java.sun.com in no longer available, and neither does the book. The download link is not updated. If you are new to programming in the JavaTM language, have some experience with other languages, and are familiar with things like displaying text or graphics or performing simple calculations, this tutorial could be for you. 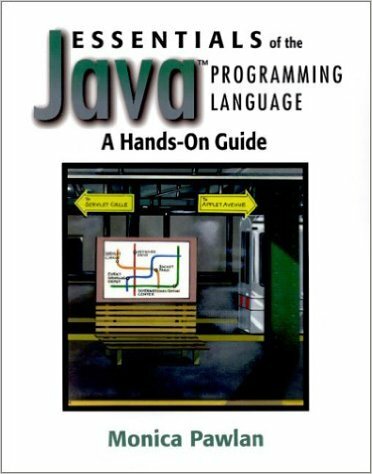 It walks through how to use the Java® 2 Platform software to create and run three common types of programs written for the Java platform?applications, applets, and servlets. You will learn how applications, applets, and servlets are similar and different, how to build a basic user interface that handles simple end user input, how to read data from and write data to files and databases, and how to send and receive data over the network. This tutorial is not comprehensive, but instead takes you on a straight and uncomplicated path through the more common programming features available in the Java platform. :) "Author has tremendous ability to deal with abstract concepts with ease - without compromising on depth, clarity or effectiveness."